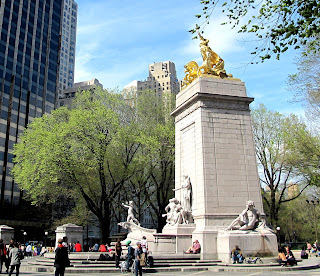 The Maine Monument stands near Columbus Circle, on the northeast at the entrance to the Central Park and honors the 258 American sailors who died when the battleship Maine exploded in the harbor of Havana, Cuba. The vessel's explosion was a catalyst in bringing war between the United States and Spain. The real reasons of the explosion are still unknown. 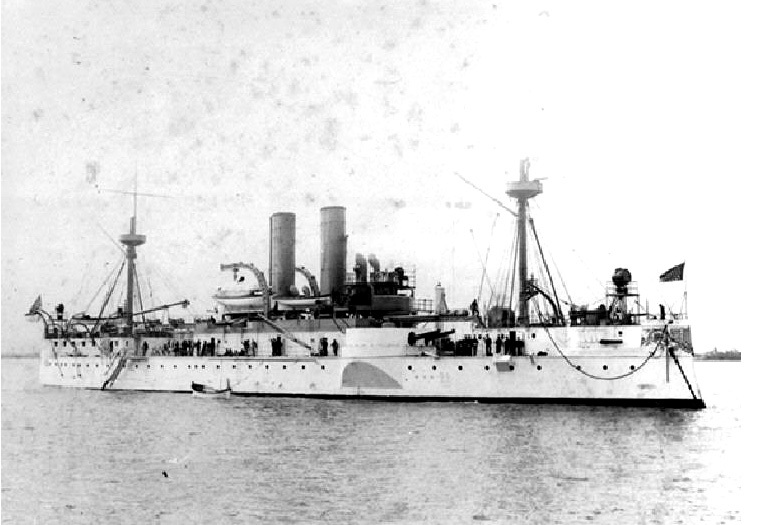 The USS MAINE was one of the first United States battleships. The ship was sent to Havana in January 1898 to protect American interests during the long-standing rebellion of the Cubans against the Spanish government. Shortly after the Maine set out, American journalist William Randolph Hearst in his newspaper "New York Journal" published a private letter from Spain's minister in Washington, Dupuy du Lome. The letter spoke rudely of President McKinley. The letter irritated Americans and embarrassed Spain. Dupuy du Lome was forced to resign over the matter, and tensions between the US and Spain increased even more. 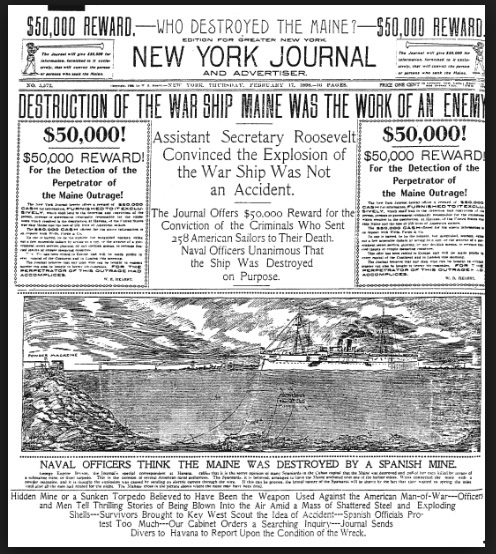 Six days after Hearst published the letter, the USS Maine sailed into Havana harbor. Spanish were given only several hours notice about this event. The arrival just added the fuel to the fire. Although the Maine claimed to be on a friendly mission, it was a powerful warship. At about 9:30 PM on February 15, 1898 the MAINE was shattered by two separate explosions and rapidly sank. More then 250 men were killed. Ammunition continued to explode for hours after the first blast. The loss of the ship was tremendous shock to the United States and had turned American popular opinion strongly in favor of war with Spain. "Remember the Maine!" became the battle cry of the United States Military Forces in 1898. President McKinley finally decided to militarily intervene in Cuba to end the ongoing unrest and "liberate" Cuba from Spanish rule. A lot of experts and historians had been trying to find the real reason of the explosion. It was found that it was a magazine explosion that destroyed the ship. There are two main versions: external action or internal accident. External action could be a mine in the harbor or gunfire. A lot of people, affected by the coverage of the “yellow press” thought that Spanish authorities directed the ship to the place where the mine was hidden. The bomb could be also place by the saboteur on the hull of the ship. However the more recent studied found that there is a very high probability that spontaneous combustion of the coal in the bunkers was the real reason on the explosion. In the months after the MAIN disaster there were at least two similar cases on US Naval ships. As of now the real reason is still unknown. 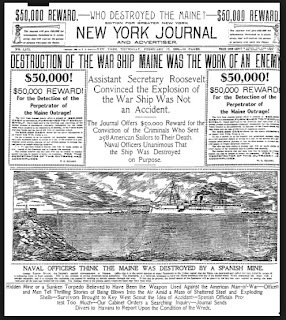 Four days after the Maine went down, Hearst's New York Journal called for a public collection for a monument to honor the sailors. Over the next several years, the newspaper received large monetary gifts as well as thousands of dollars in pennies collected from schoolchildren. 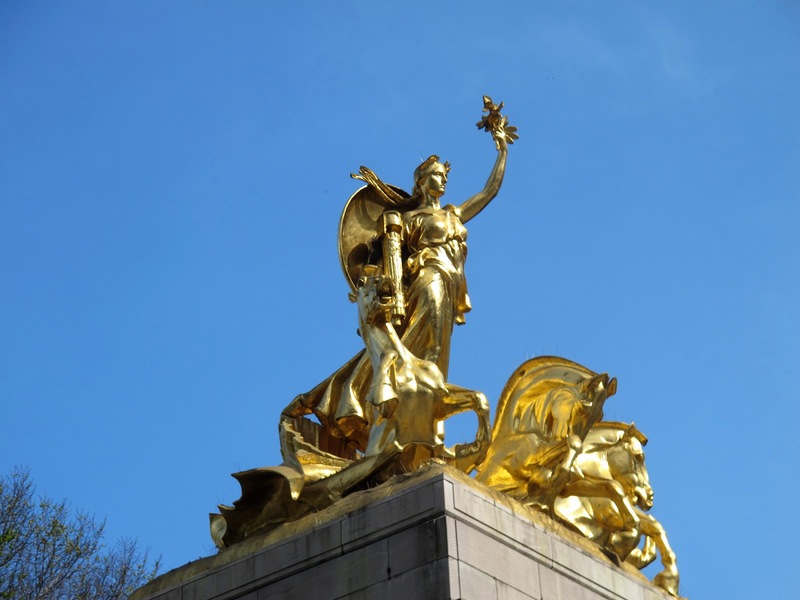 In 1913, a USS Maine Monument was completed and dedicated in New York City. The bronze for the sculpture group on the top of the pylon came from metal recovered from the guns of the Maine. 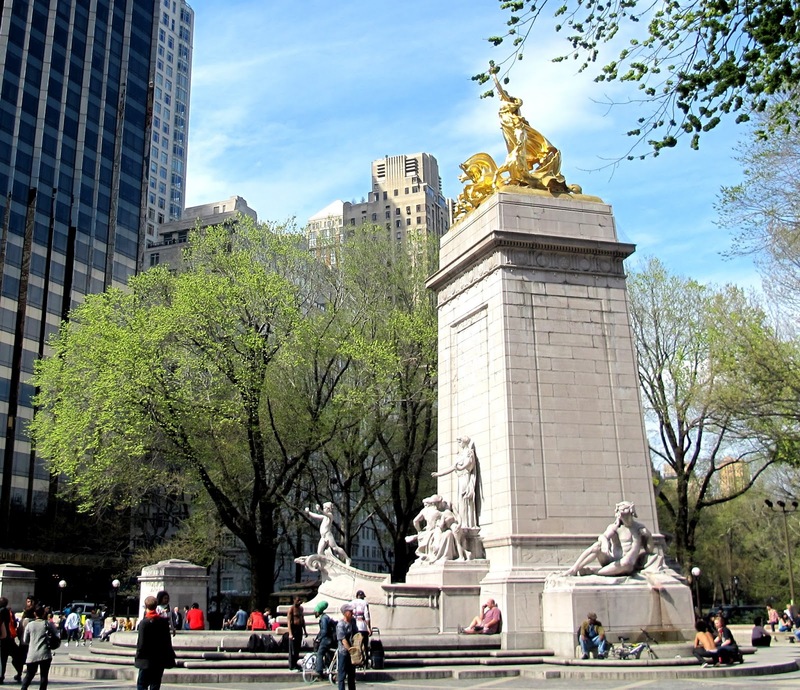 There is memorial plaque on the park side of the monument. This plaque was cast in metal salvaged from the ship. 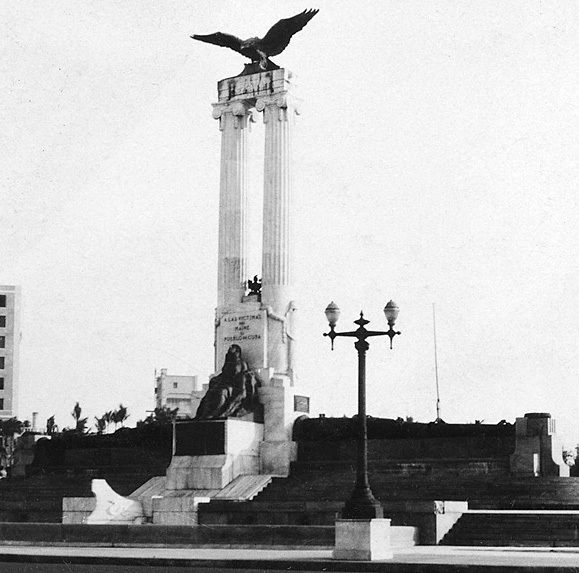 In 1926, the Cuban government erected a memorial to the victims of Maine. The memorial was damaged by crowd in 1961, and the eagle on top was broken and removed. The head was mysteriously delivered to Swiss diplomats, who had agreed to act as protectors of U.S. property in Cuba. Today it hangs in a conference room at the U.S. 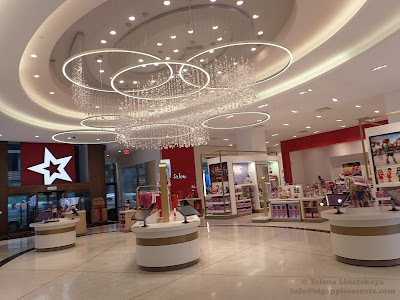 Interests Section, which Washington maintains in Havana instead of an embassy. The Havana monument was cleaned and restored in 2013. Inside Out project on Times Square. What's in a name... Why "Big Apple" ?